David Tennant and Micheal Sheen star in the adaptation of Neil Gaiman and Terry Pratchett’s comedy Good Omens. The six part television series will be released on Amazon Prime on Friday 31st May 2019 and will be shown on BBC Two about six months later. Television channels where it will be broadcast in other countries have not been announced yet. Good Omens is set in 2018 on the brink of an apocalypse as humanity prepares for a final judgement. 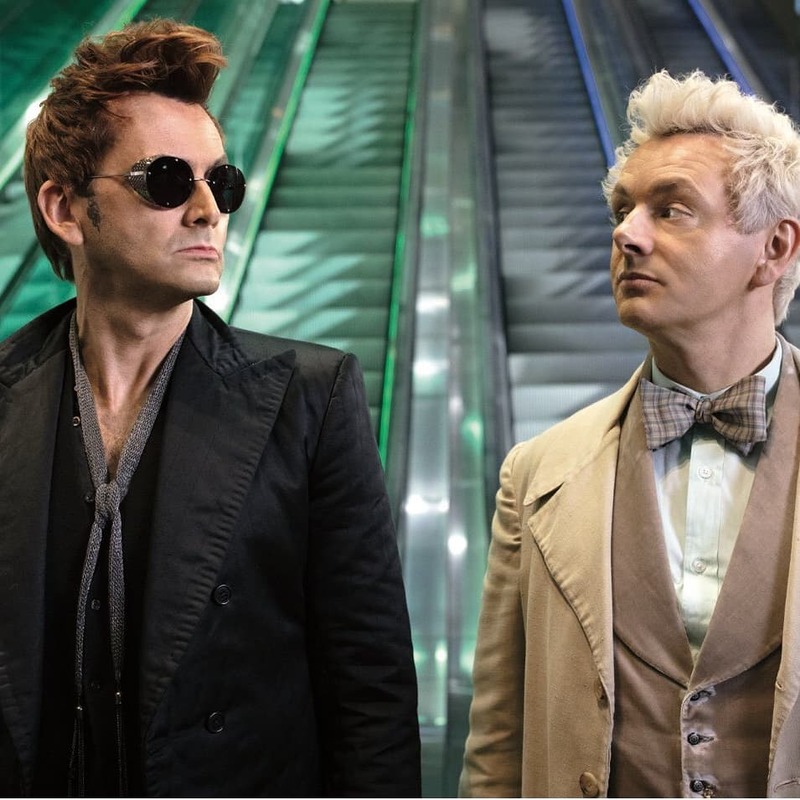 But a somewhat fussy angel called Aziraphale (played by Michael Sheen) and Crowley (David Tennant's character who is a demon) aren’t enthusiastic about the end of the world and can’t seem to find the Antichrist. Neil Gaiman adapted all six episodes of the series (which will all be an hour in length) and served as showrunner. 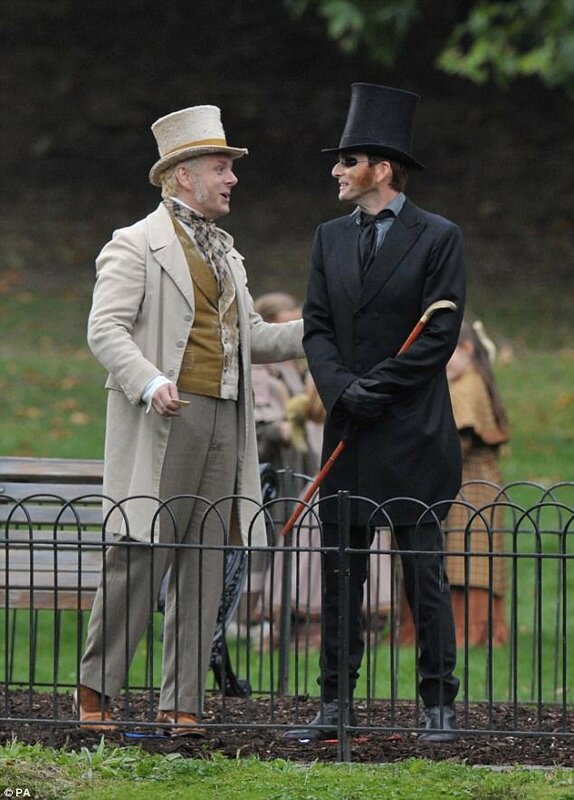 Good Omens was Neil Gaiman’s first novel and written in collaboration with Terry Pratchett who died in 2015. 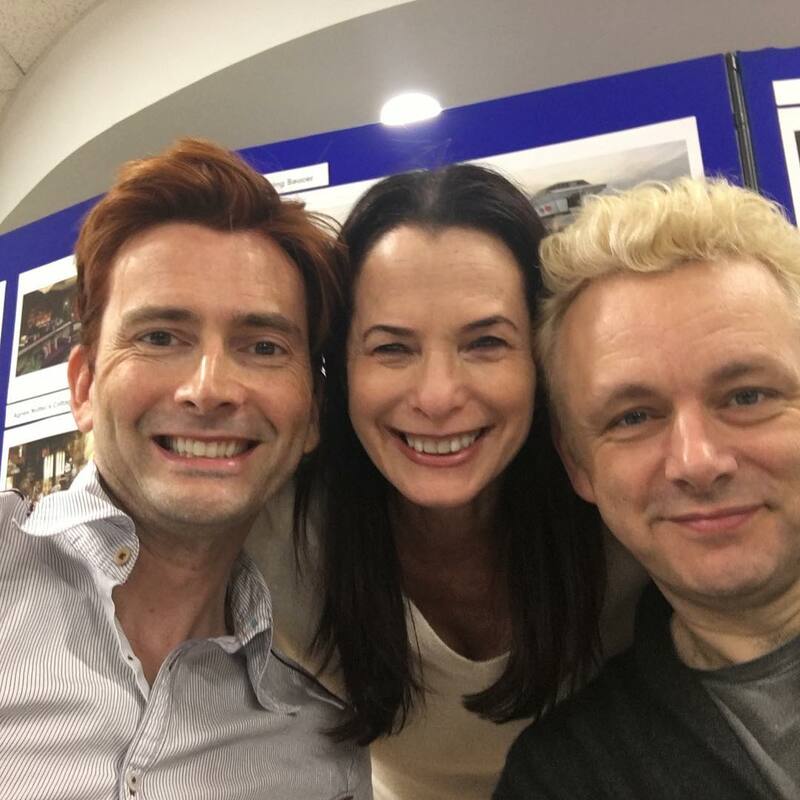 The quote from David about the project was "Michael Sheen, Neil Gaiman, Terry Pratchett and directed by Douglas Mackinnon, it’s a dream team and a dream gig. I am very excited that I’ve been asked to be part of this amazing project. Bring on the Apocalypse!" Filming started on Monday 18th September 2017 and David completed filming his scenes in South Africa on Tuesday 20th February 2018. Principal filming ended on Saturday 10th March. The read-through for the first three scripts took place on Wednesday 13th September. 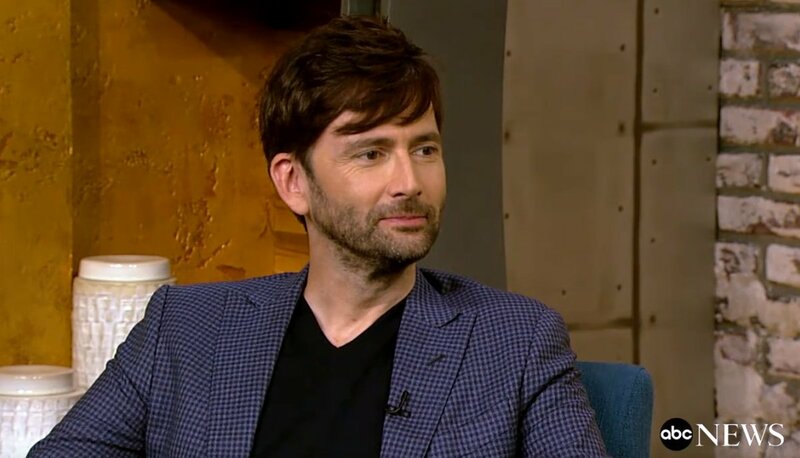 On Tuesday 2nd October 2018 David Tennant attended a press panel for Good Omens in London. On Saturday 6th October 2018 David Tennant attended a media day for Good Omens at New York Comic Con. On Wednesday 13th February 2019 David Tennant attended the Good Omens panel at the Television Critics Association Winter Press Tour in Los Angeles. On Wednesday 17th Aptil 2019 David Tennant attended two Good Omens promo events in Los Angeles, CA. Good Omens book to be republished in the UK on Thursday 2nd May with a photo of David Tennant and Michael Sheen on the cover. 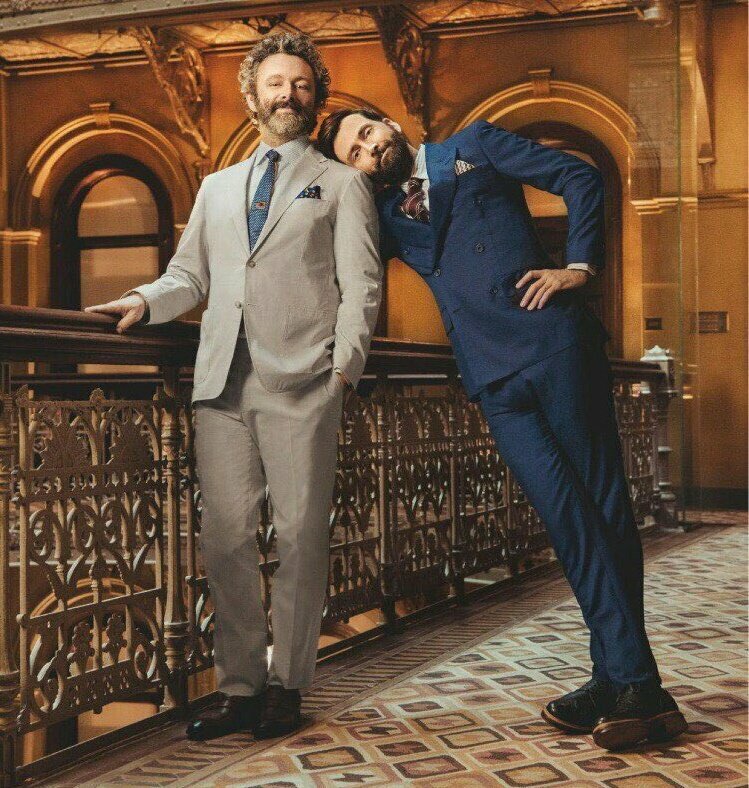 Den Of Geek have an article from New York Comic Con of David Tennant and Michael Sheen discussing 'The Distinctive Direction Of The Good Omens TV Show' by Douglas Mackinnon. "I think what's brilliant about Douglas is that he has an absolute grasp of all the disparate elements of what Good Omens is, and there are a lot of them. There's lots going on that we [actors] never really get to truly understand or know. There're whole plot lines that I can't wait to see what they're about, some characters that we're never in a scene with." Radio Times has a new photo and another brief interview with David Tennant about Good Omens. The interview is from the press panel on Tuesday. 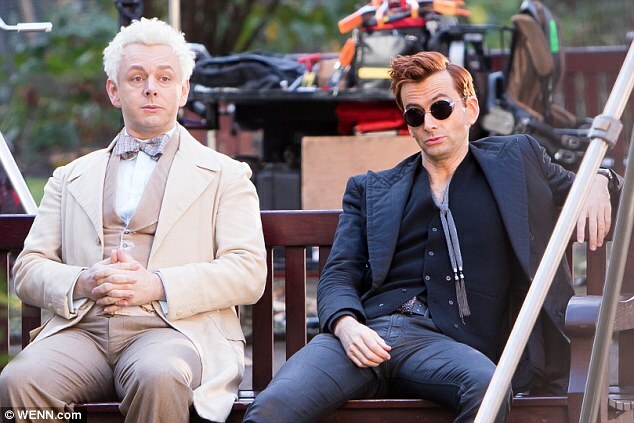 Entertainment Weekly has a short interview with David Tennant and Michael Sheen about Good Omens. 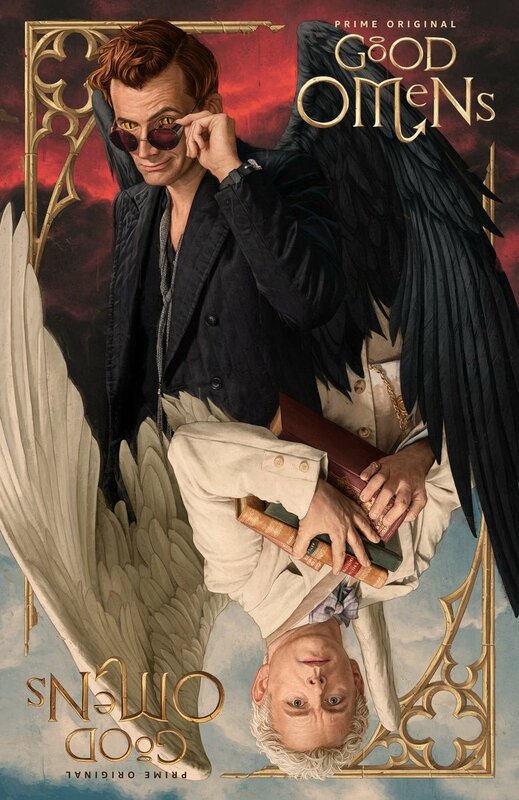 Attendees of the Good Omens panel at New York Comic Con tomorrow may receive this poster. David Tennant to attend Good Omens panel at New York Comic Con on Saturday 6th October. 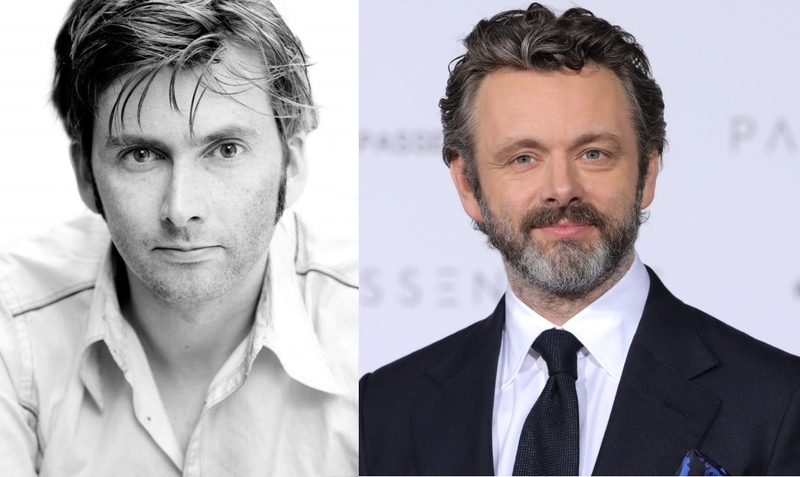 Michael Sheen and Neil Gaiman will also appear. David Tennant to appear at PaleyFest NY on Tuesday 9th October. David will have a Question And Answer panel starting at 6.30pm. The promo says he'll be asked about Doctor Who and Good Omens. 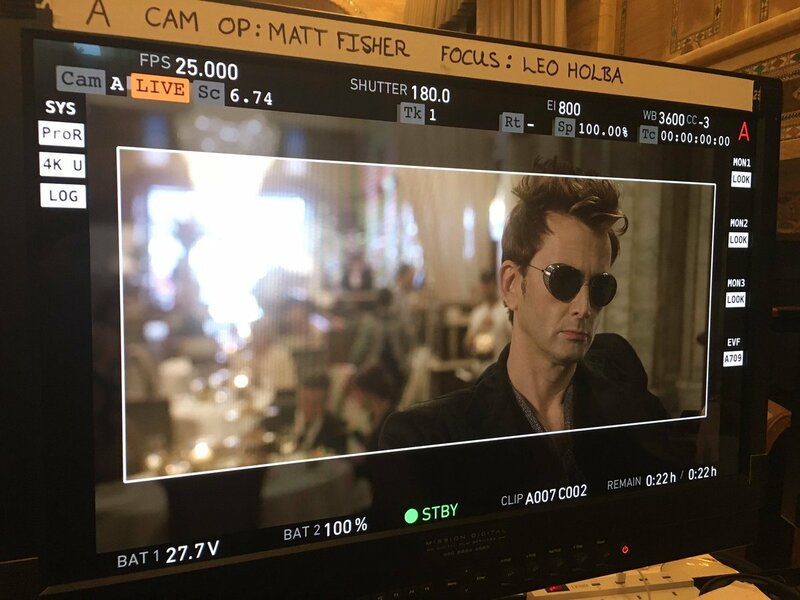 Video of the first glimpse of Good Omens. David Tennant is now listed to appear at the DuckTales autograph session at San Diego Comic-Con on Friday 20th July. Back in June it was announced there would be a DuckTales panel at the same time as the Good Omens panel at the fan conference but now David is listed as some of the DuckTales stars who will be signing autographs that day. Photos, video and recap of David Tennant's panel at Wizard World Des Moines yesterday. 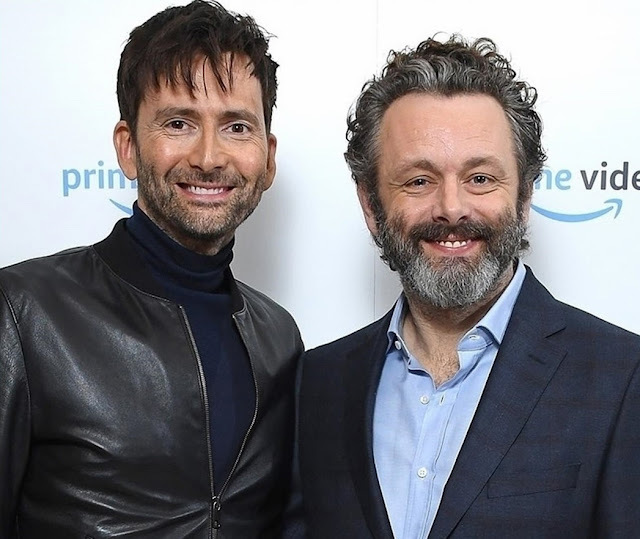 Digital Spy has an article about Michael Sheen speaking about Good Omens and his excitement at working with David Tennant. 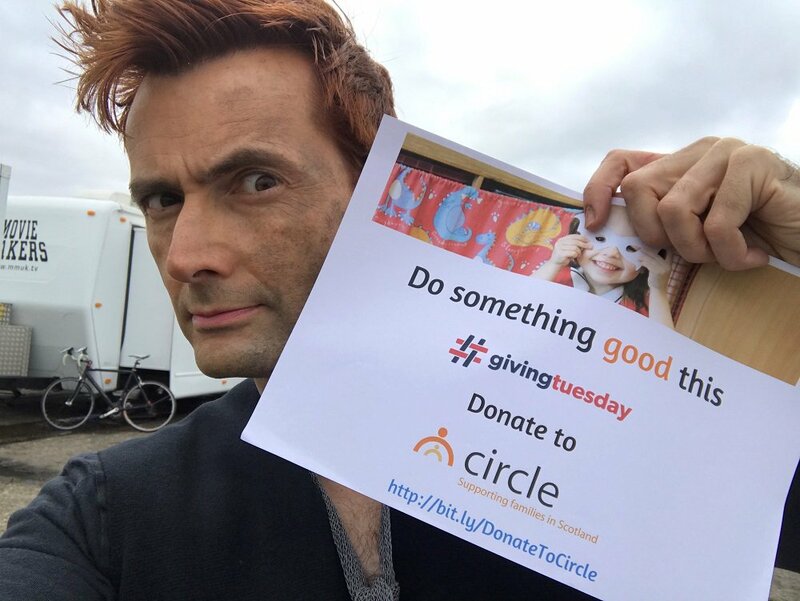 Another audio clip of David Tennant have been posted to Twitter by Heart Scotland News. 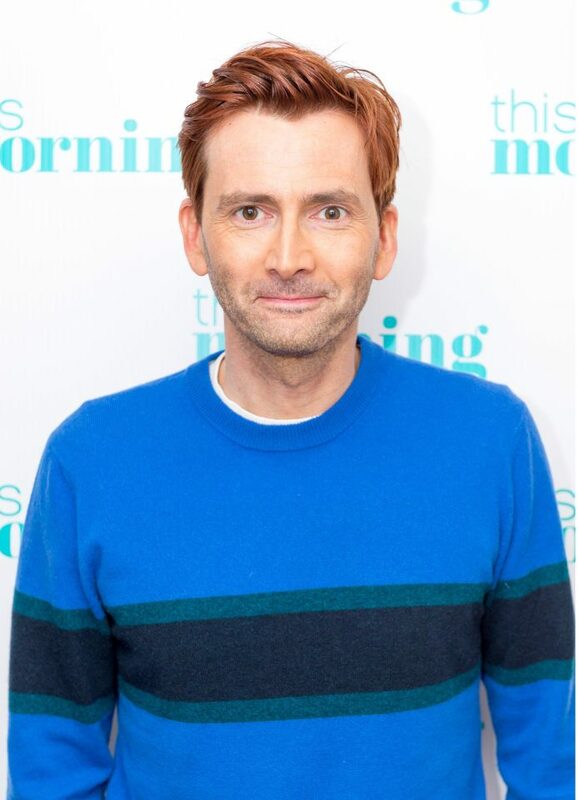 MP3s of David Tennant on The Zoe Ball Show. Neil Gaiman tweeted that post production on Good Omens is due to be completed in October. Good Omens filming in the UK is now complete. Recap of the Dean Devlin panel about Bad Samaritan at New Yok Comic Con today. 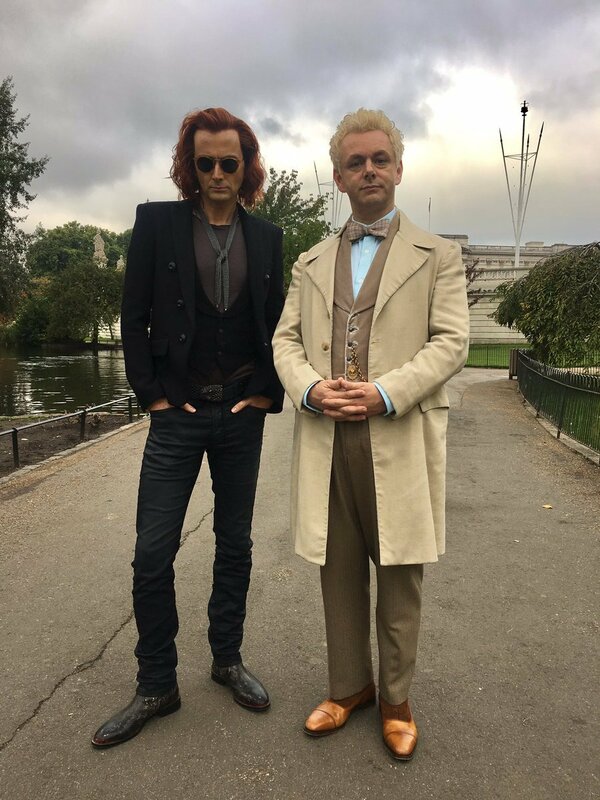 Neil Gaiman posted a photo from Good Omens filming today to Twitter. They were filming in the Criterion restaurant in Piccadilly, London. The BBC press release today about Good Omens starting filming. It states that filming will take place for the next six months in London, Oxfordshire and locations in South Africa. Neil Gaiman posted to Twitter that the read through for the first three scripts of Good Omens is tomorrow. 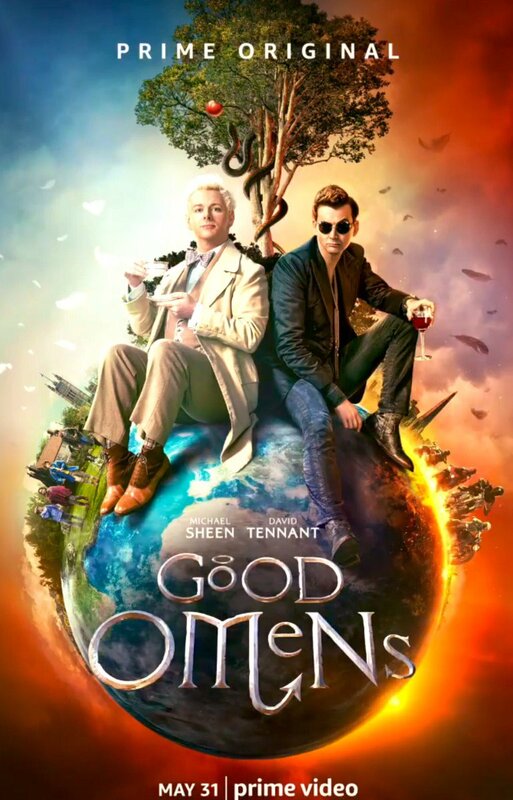 Official confirmation and a quote from David Tennant about Good Omens. David Tennant expected to star (with Micheal Sheen) in Good Omens. Variety has announced it is happening although Deadline say the actors are still in talks.